The Beyond Building Energy Gold Coast Rollers men and womens teams tipped off their 2011 QBL season campaign with two wins over the South West Metro Pirates in Brisbane tonight. The Gold Coast Rollers was officially resurrected at the 2nd Annual Season Launch/Funny Money night at Carrara Indoor Stadium last night. 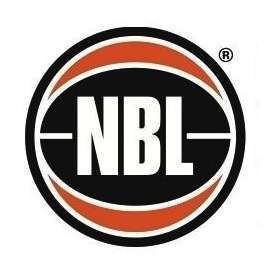 The Carrara Stadium on Nerang – Broadbeach road, will be the place to be on Saturday 23 April 2011 for the 2nd Annual Season Launch/Funny Money Night to launch the QBL and D-League teams from the South East Corner of Queensland. The Gold Coast Rollers QBL program would like to announce the following people have been successful in making it through to the third round of selection trials. The Gold Coast Lady Rollers have held their trails over the past couple of weeks with a few familiar faces and some new ones stepping up to the QBL plate this year. In what was described as the most popular trails ever, over 35 women came together, sweated and even participated in the "beep" test in hope of making the squad. The Gold Coast Lady Rollers are holding their first trails/scrimmage of the 2011 season this Thursday night. Click here for all the details. The Gold Coast Rollers have held their first trail/scrimmage for the upcoming 2011 season tonight at Varsity College with a few surprise appearances from some veteran "Rollers" NBL Players. The Gold Coast Rollers are gaining momentum in preparation for the 2011 QBL season after last years semi final loss to the Rockhampton Rockets, with open trails for the mens QBL team. Welcome, Gold Coast Rollers. For some of you, it's a case of WELCOME BACK!!! The Gold Coast Rollers was the first ever NBL team here on the Coast and has been the only true identifying branding of basketball at a high level over the years. Bored on your School Holidays? WHAT TIME IS IT??? GAME TIME!!!! HUH!!! Gold Coast QBL excitement is BACK!!! Gold Coast Basketball "Old Boys Club"